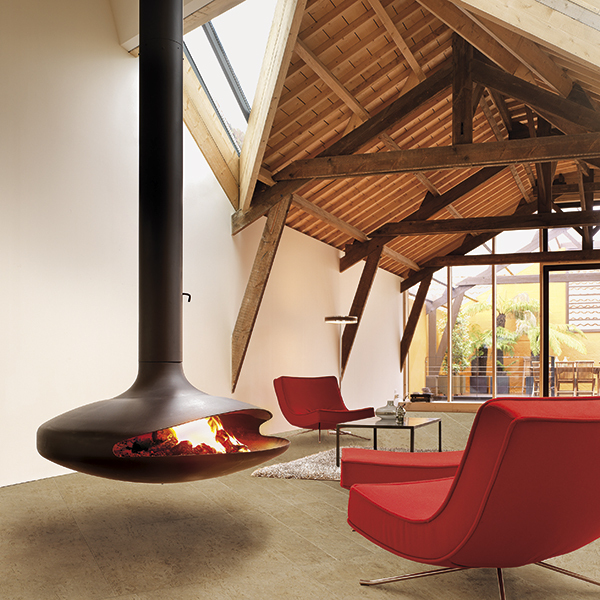 We’re delighted to welcome Focus Fireplaces to our Winkleigh showroom. Please scroll down to see a selection of the range available. For those of us who want to make a dramatic statement in our living spaces the Focus stove collection is not to be missed. 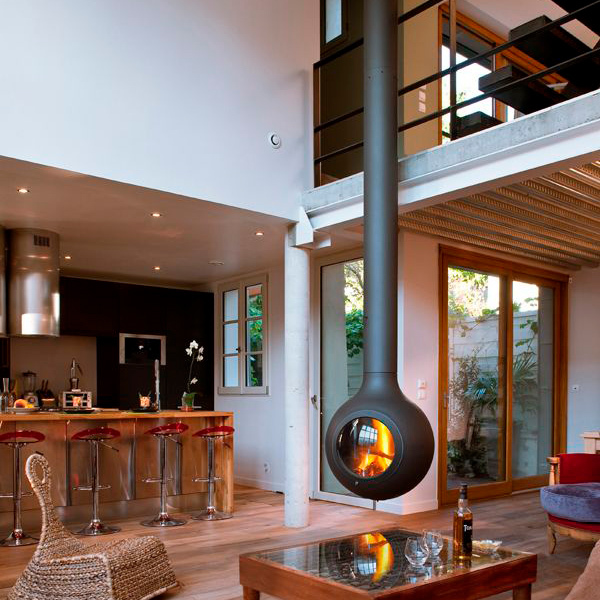 Beautifully designed – almost architectural in their styling, these world-renowned stoves are created in France under the watchful eye of founder and owner Dominique Imbert – Artist, designer, humanist and visionary. 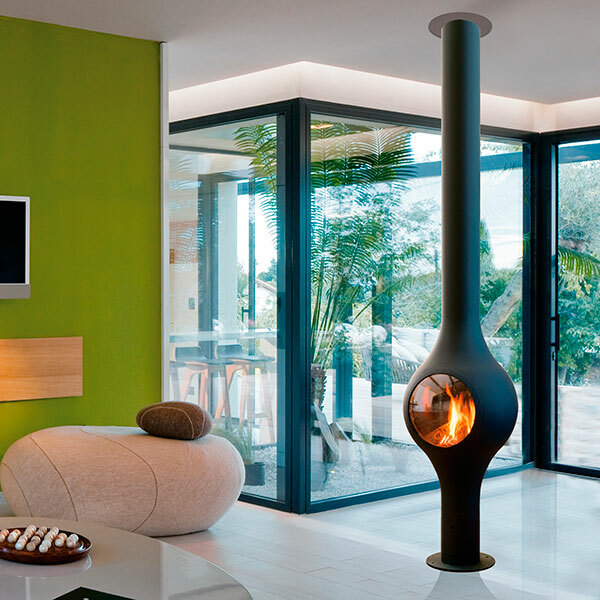 Focus Fires have a range of installation options, including freestanding, wall mounted or the hugely popular Suspended & Hanging Fires. 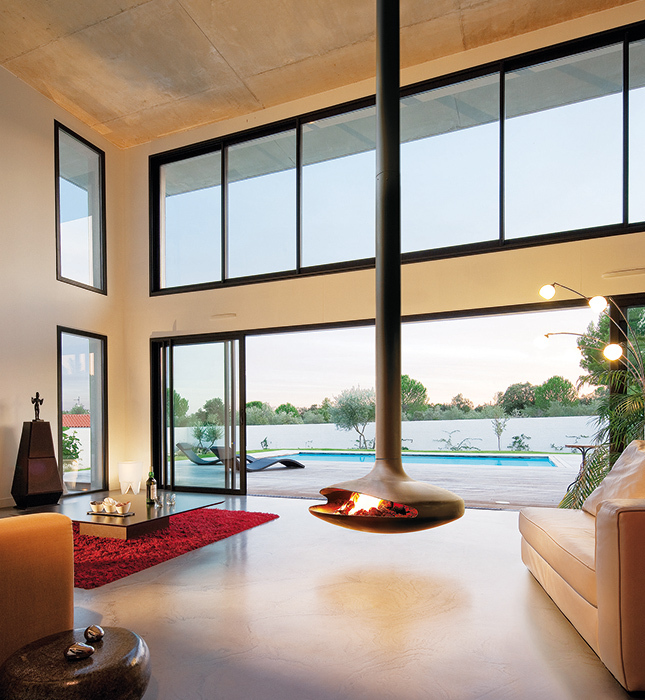 Pictured above: Gyrofocus – Suspended Fireplace: Focus Fires. Available to see live at the Rangemoors showroom. The company remains where it began life, in the village of Viols-le-Fort in the South of France, in the stone house renovated by Dominique Imbert. This is where he created the very first Antéfocus, and today it is the company’s head office. 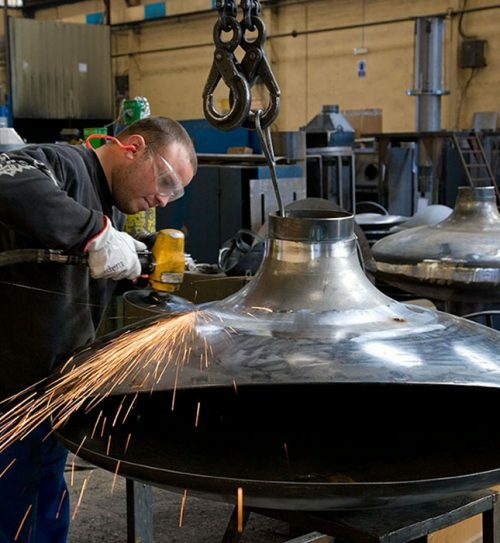 It is also the workshop (L’Atelier Dominique Imbert) where Focus models are conceived and designed. 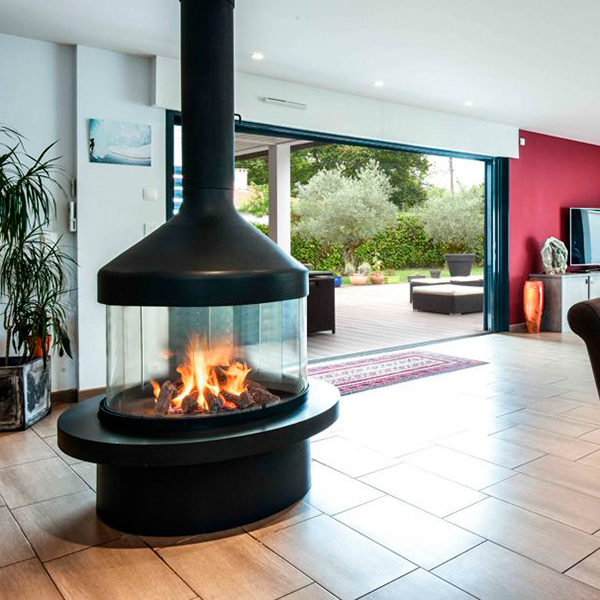 It is from this medieval hamlet in the midst of the Mediterranean Garrigue that Focus exports its fireplaces all over the planet and we’re delighted to say to us at Rangemoors. 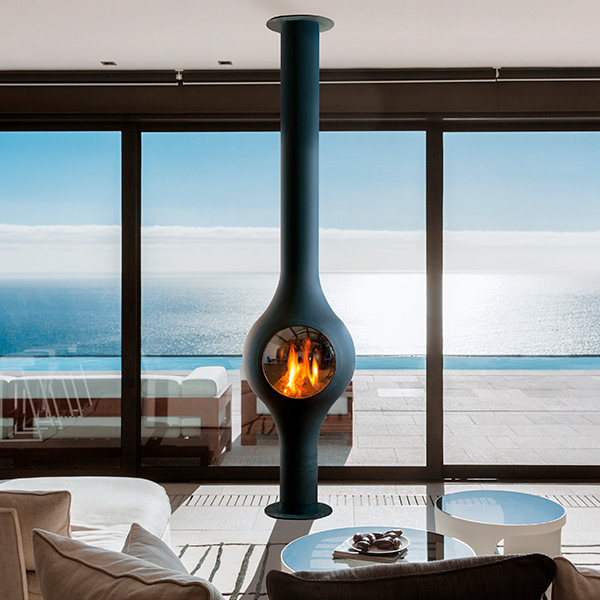 We hope the images of the product you can see here will give you a flavour of these extraordinary fireplaces – but there’s nothing like experiencing the real thing, so please visit our showroom to see them for yourself. See more about Focus on Facebook here. Using your tablet or smartphone, you can visualise the Focus model of your choice in your own home. The Focus Creation augmented reality app is available online from Google Play and Apple’s App Store. Streamlined style - the Slimfocus. The Slimfocus is a periscope of flames. 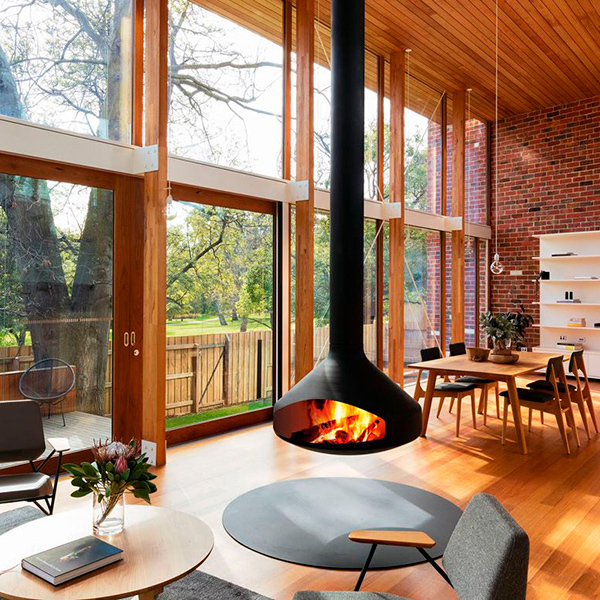 Its hearth is either suspended (in which case it can pivot) or supported by a base and fixed in place. 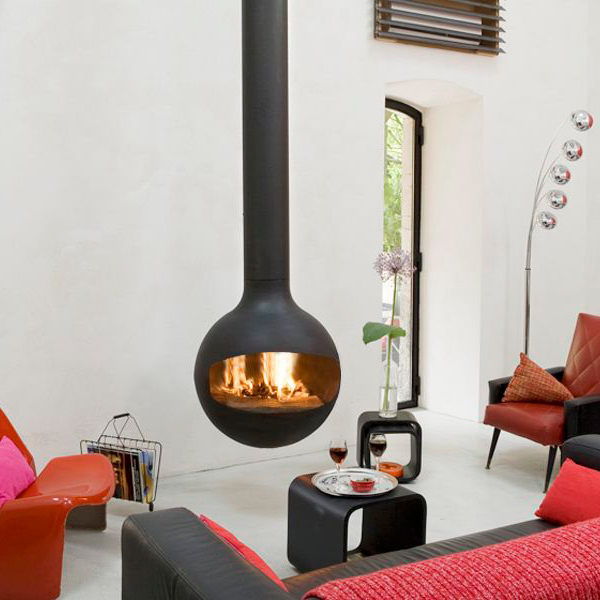 Its streamlined shape takes up little space, whether it is positioned centrally in a room, near a wall or in a corner. 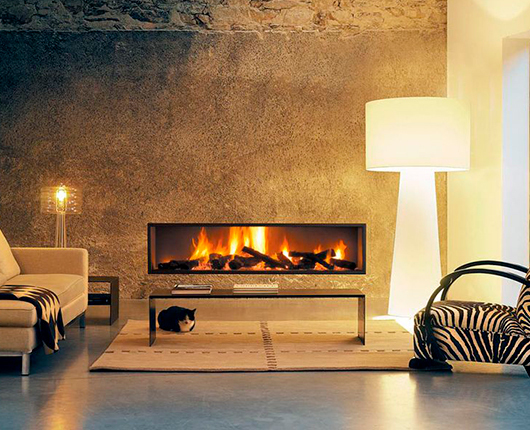 Its exceptionally fluid lines make it one of Focus’s most stylistically revolutionary fireplaces. The best-selling Agorafocus makes a striking centrepiece for any contemporary space. 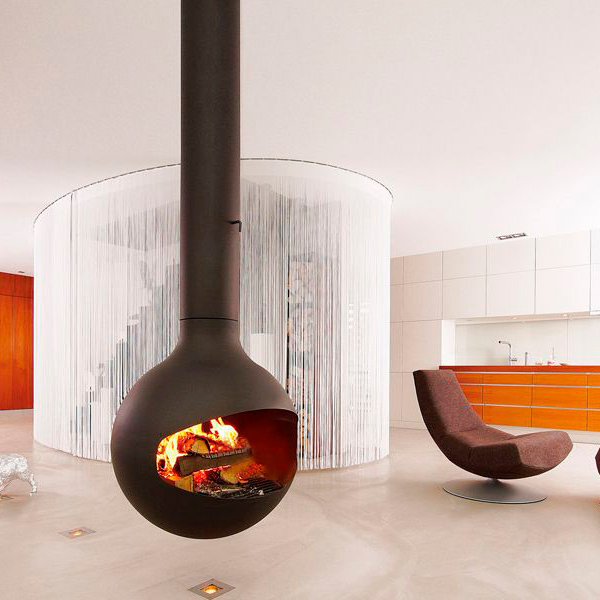 The Agorafocus fireplace has 4 pyroceramic glass frameworks including two opening on hinges. 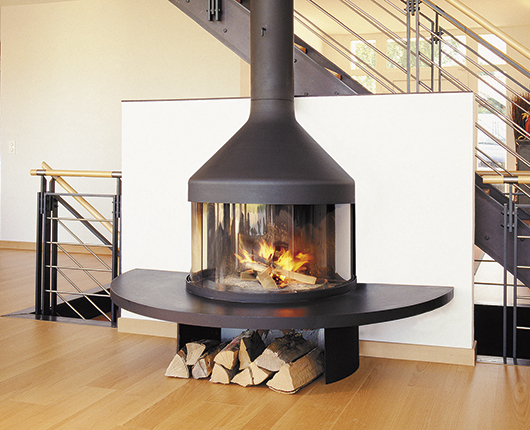 The Agorafocus is available in either 63 or 85 cm diameters both with excellent heat output (8kw and 11kw/78% efficiency). Gas-fired option also available. Indisputable visual appeal with exceptional performance. 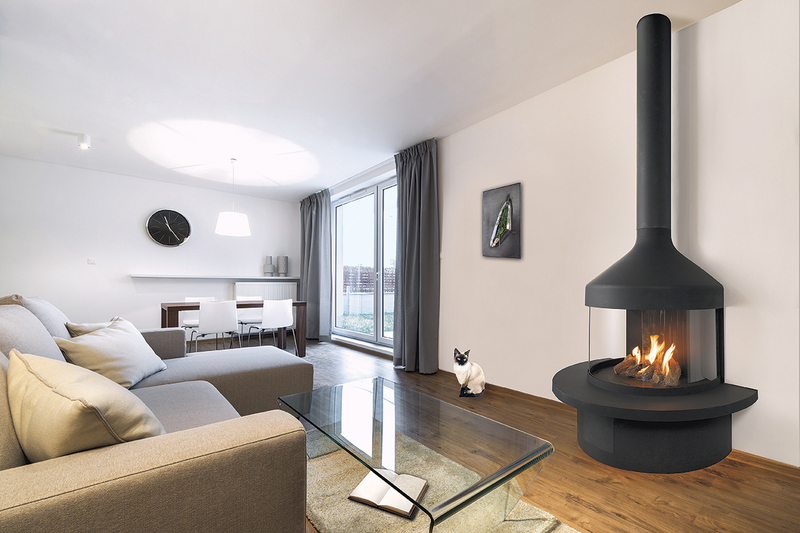 This high-performance award winning gas-fired stove provides a restrained yet superbly elegant focal point ideal for the modern low energy home. Remote controlled and programmable with electrical ignition, the Boafocus is fired with either natural gas or propane. 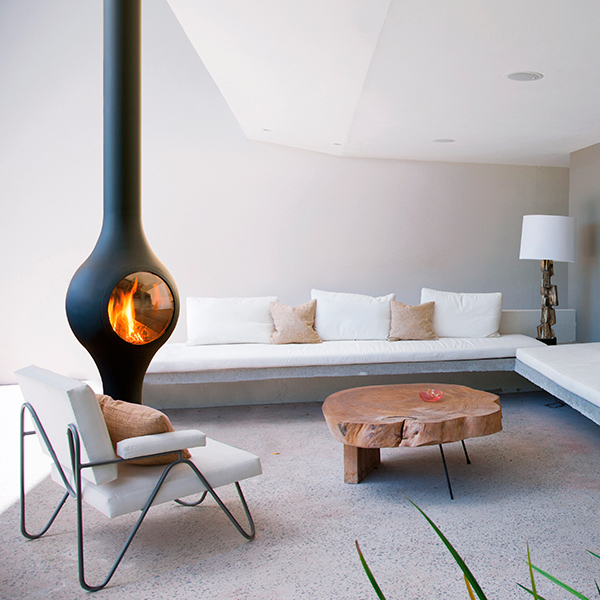 This beautiful open fireplace is both versatile and aesthetically pleasing. Rotating through 360 degrees, it is easily adaptable to various room layouts. 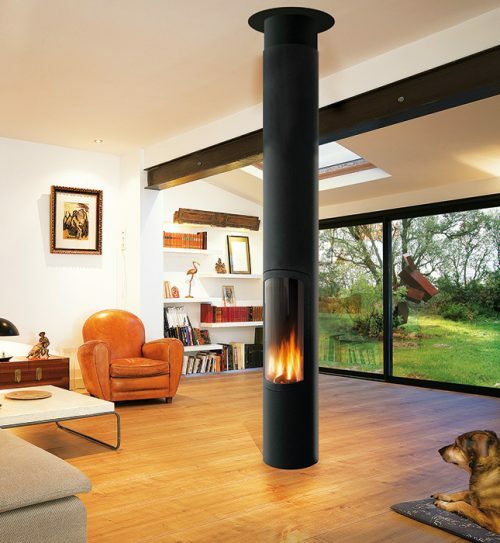 Available in matt black, anthracite grey or white and as a closed hearth porthole version, Bathyscafocus may be either suspended or pedestal based. Thermal output is 5.5.kw with 59% efficiency. 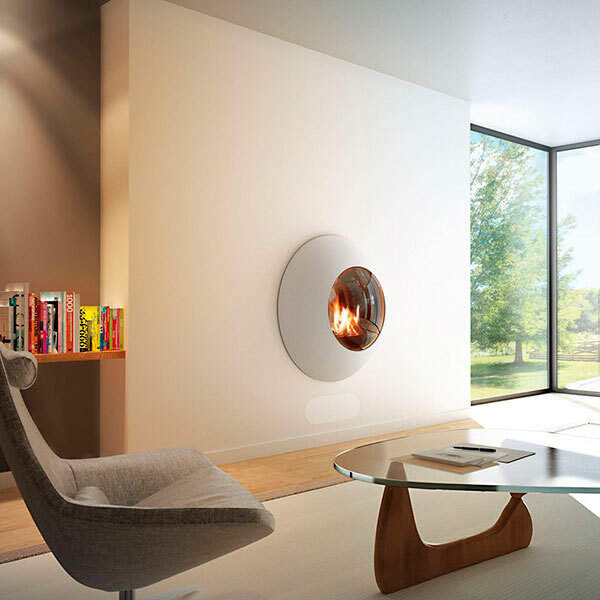 Ergofocus is a sleek, almost minimalist, rotating open fireplace. 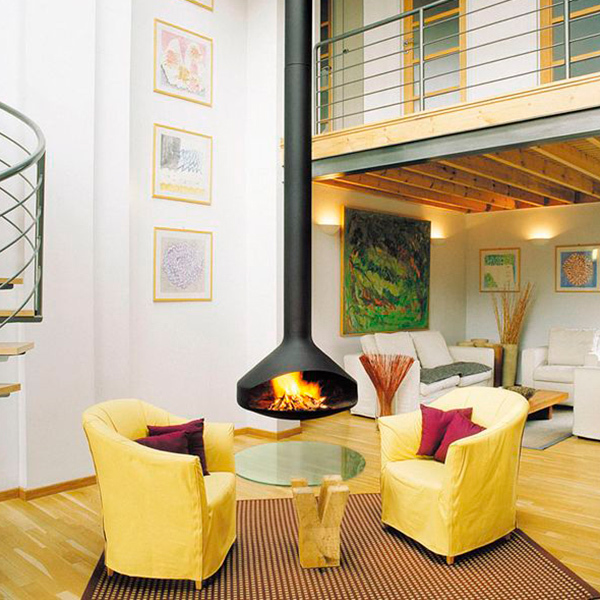 Perfectly proportioned, it has a purity of line that emphasizes its role as a room’s focal point. Available in matt black, anthracite grey or white (suspended version only). Nominal output is 5kw with 46% efficiency. This inspired model was exhibited at the Museum of Modern Art in Stockholm. Described by the architect Sir Norman Foster as “magnificent”. The design of the Filiofocus is the absolute embodiment of elegance. 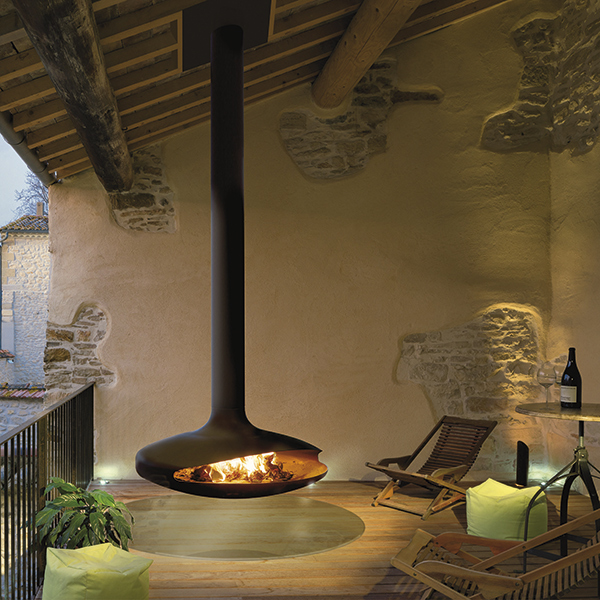 In a brilliant combination of function and style, a telescopic system permits the hood to be raised or lowered over the hearth. 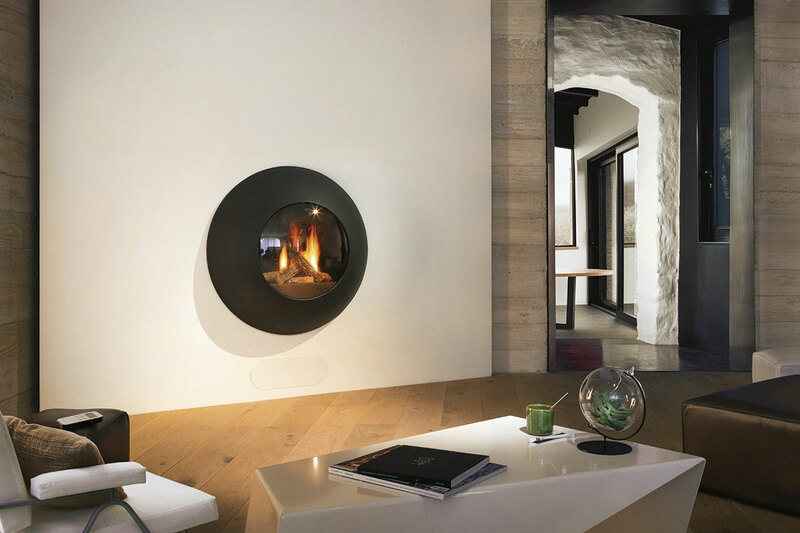 The Filiofocus is available as both open hearth and wall mounted versions (non-telescopic), fully glazed or open hearth and in wood or gas-fired options. Nominal output is 4kw with 40% efficiency. Our multiple prize-winning signature model, a modern day icon. 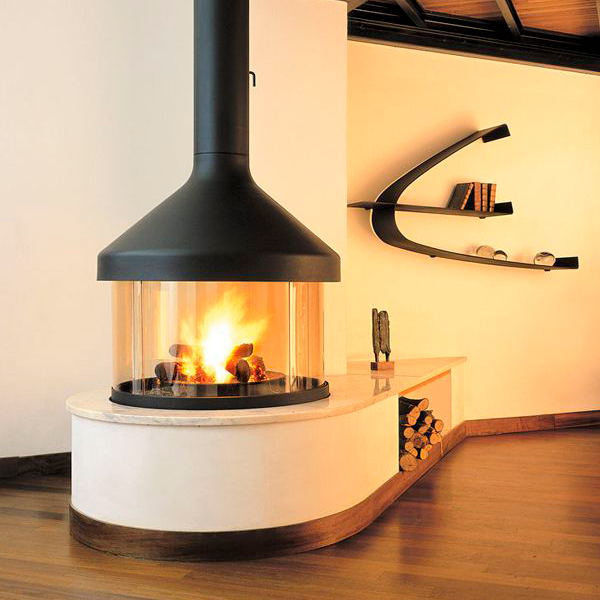 The Gyrofocus embodies that sublime combination of form and function so characteristic of Focus fireplaces. 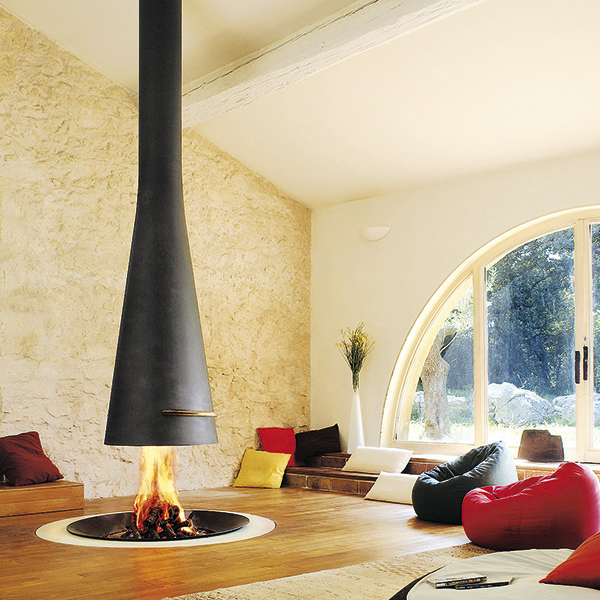 Suspended from the ceiling and pivoting through 360 degrees, it makes an extraordinary design statement providing both warmth and a wonderful focal point in any living space. Indoor and outdoor versions are available, in matt black, anthracite grey or white (indoor version only). Nominal output 6kw, 58% efficiency. The Lenfocus has a singular presence without being intrusive. 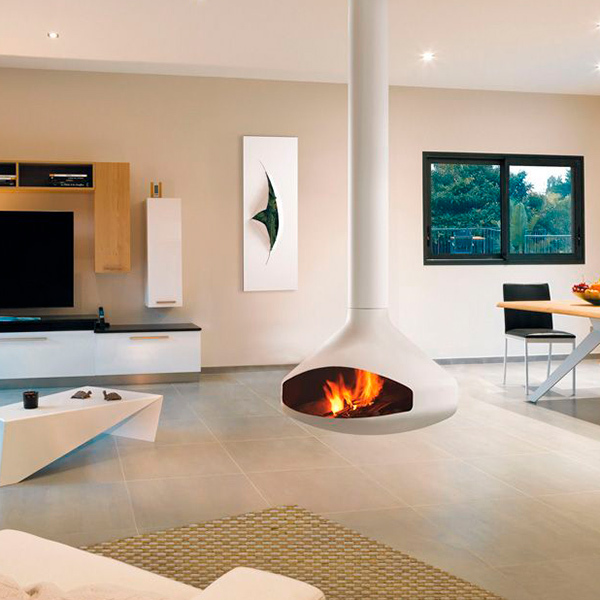 This wall-mounted gas-fired stove adds an almost space-age presence to a room. 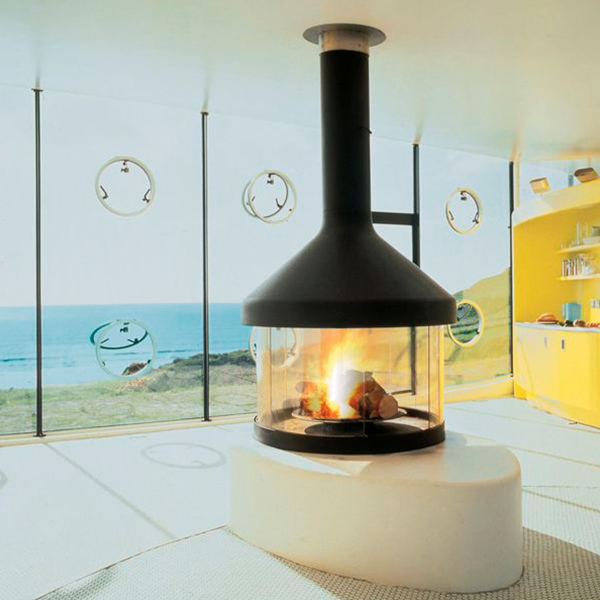 Fully enclosed with a lens-like double glazed viewing window it provides a striking focal point and a efficient source of heat. Available in matt black, white or anthracite grey, propane or natural gas versions. Nominal heat output 6-7kw. This model takes its name from the word “renewal” in Japanese. The Japanese inspired, circular, Meijifocus is platform mounted and fully glazed, providing warmth, safety and efficiency. This stove includes a suspended hood and steel mounting platform. 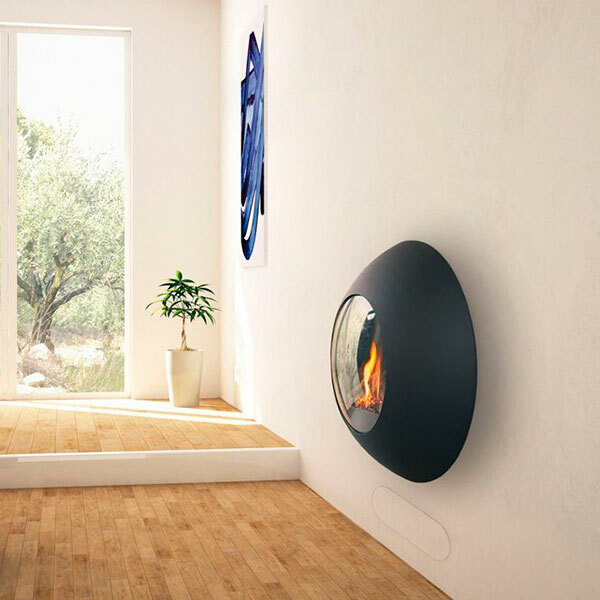 Available in matt black or anthracite grey and wood burning or gas-fired versions. Nominal heat output 6kw, 52% efficiency. 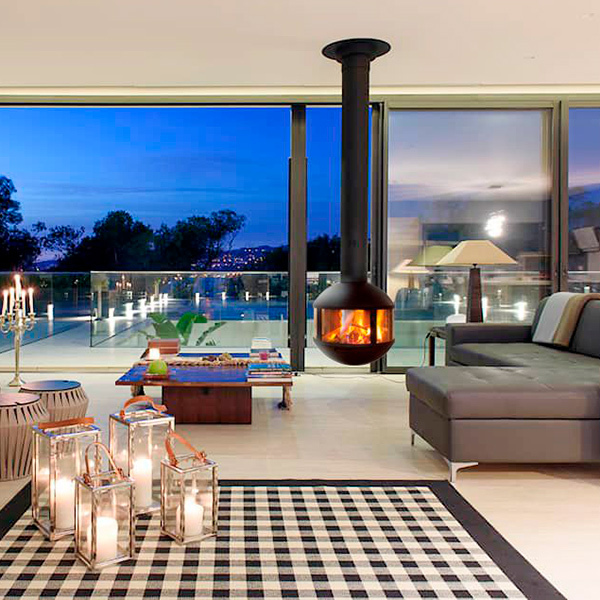 Wide Screen Entertainment - creating warmth and atmosphere. Purity of design and utter simplicity – the Neofocus lends timeless elegance to the home. 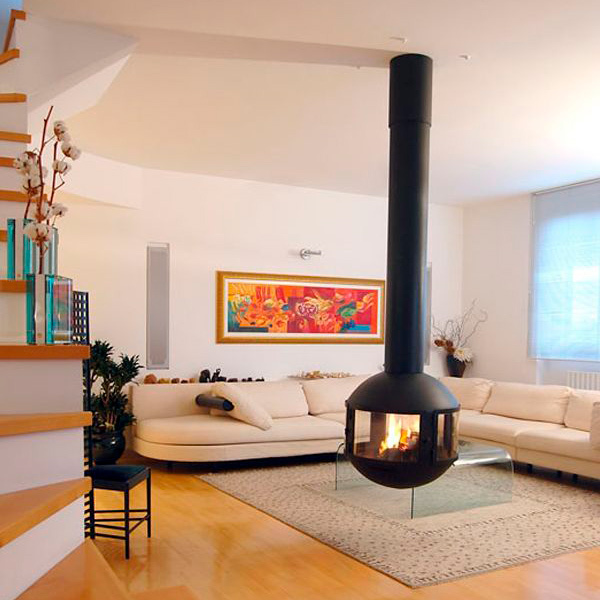 This perfectly proportioned, “wide-screen” built-in fireplace takes pride-of-place in the living room. Available as wood or gas-fired versions in 1500 or 1800 mm widths, matt black or anthracite grey. Nominal heat output (wood) 7kw, 52% efficiency. 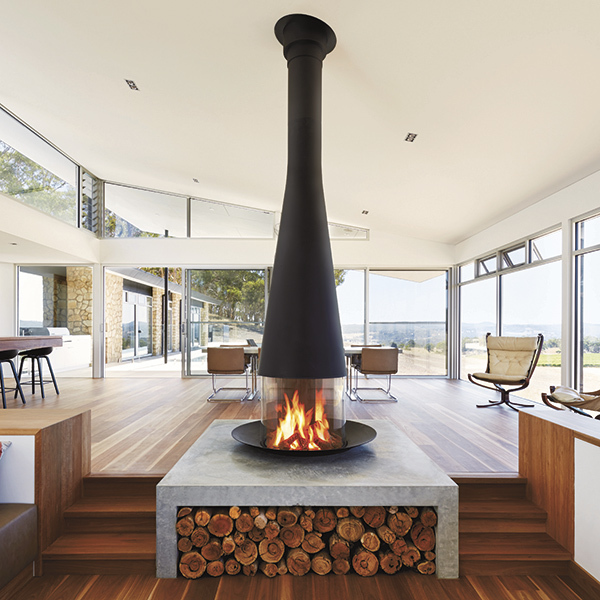 Integrated damper and handle for fresh air inlet, removable ash pan for the wood-burning version. 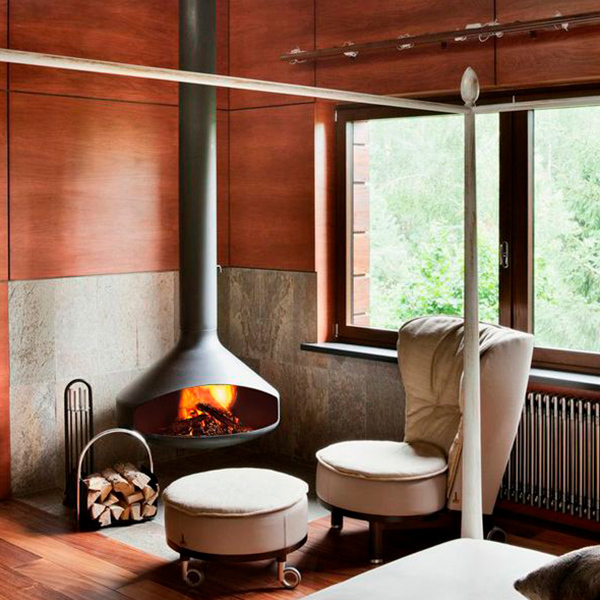 An ideal solution for limited spaces, without compromising on charm or heat-efficiency. 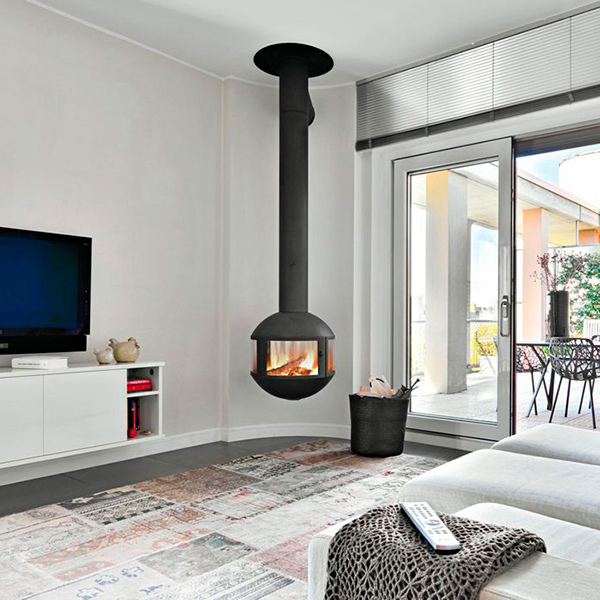 Perfectly proportioned for the smaller living space, and incorporating sliding glass panels, Optifocus comes with its own hearth with convenient log storage below. Wall mounted, its brilliant combination of design and function provide excellent heat output and exemplary efficiency. Available in matt black or anthracite grey in two widths – 1250mm and 1750mm. Gas option available. Nominal output – 8-11kw, 73% efficiency (wood version).